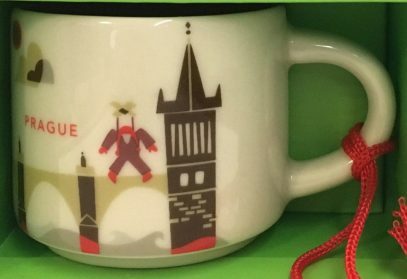 It was obvious that after releasing Prague Christmas YAH Starbucks will add Prague Ornament to the range. We now have a picture of the mug! It is a complete copy of the regular Prague YAH, just much smaller. It looks like an awesome addition to the ornament collection. This mug is already available for purchase online, see here.